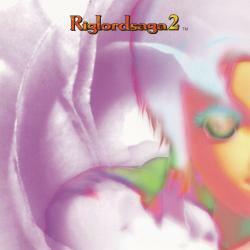 Riglord Saga 2 (1996) is the Japan-only sequel to the Sega Saturn game, Blazing Heroes (aka Riglord Saga in Japan). The series is a strategy RPG with turn-based tactical battles where the player controls a small army. In the first game, the player must defeat an evil wizard trying to open the portals of Mystaria (the game is sometimes known as Shadows of Mystaria). The sequel seems to provide an interesting narrative twist, with the main protagonist as a princess being hunted by the Seven Wisemen for some devious purpose. The music for Riglord Saga 2 contains a wide variety of tunes, with ethnic themes for each of the cities and regions, some with a pop flavor to them – each with the full atmosphere of CD-quality audio. 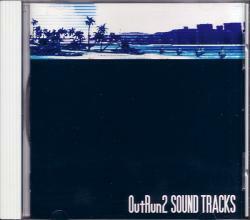 Others are full-on orchestral themes, such as the “Ending ~Main Theme~”. It is a very pleasant, sweeping score that must have been one of the live recorded studio tracks (some of the other pieces sound like they have synths – similar to Arc the Lad, which was touted as the first game to feature a score performed by a live orchestra…). The main theme is rolling and pleasant, with a beautiful call and response between the strings and brass. The piece then transitions into a processional clarinet piece with excellent melodic layering from the strings, which builds into the final section, a redux of the main theme. Anyway, I’m not entirely sure what the context for the song is as I’ve never played the game, but it’s certainly a pleasant orchestral piece to end the day with (or begin, if you check this blog in the mornings!). Yasufumi Fukuda, the main composer, has worked on a wide range of games, from Sword and Sorcery to the recent arcade/360 shmup, Deathsmiles. His collaborator, Tadashi Ohtsubo, worked with arrangement of the album and also served as the pianist for the orchestra. Mr. Ohtsubo has worked on mostly Sega pieces, including NiGHTS and Sonic World Adventure. I’ll admit to not playing much of the Sonic series – we had a Super Nintendo while I was growing up and so simply never got that involved with it. However, one track from Sonic the Hedgehog 2 really stood out for me, the theme of Dr. Robotnik (Eggman) – “Boss the Boss.” Dr. Robotnik is a big, fat man with a huge orange mustache who tries to conquer the world with robots and pollution. At the end of some levels, he will show up with a crazy machine and try to crush the speedy blue hedgehog, Sonic. The game’s composer, Masato Nakamura, has worked on the first Sonic the Hedgehog and Final Fantasy VIII, among other scores. Anyway, “Boss the Boss” matches the overbearing nature of Robotnik, his large size and his lumbering machines. It’s really about a big guy determined to smash things and the little guy determined to beat him; this combination of lightness and weight adds a level of comedy to this piece that I think perfectly suits the Eggman (a guy who seems to take himself too seriously). There’s some great percussion here – one of the things the Genesis did very well – as well as a crazy synth/choral line to listen for beginning around 0:15. Definitely one of my favorite boss themes out there. I will say though that I’m not a big fan of the Genesis sound system – only a handful of composers were ever really able to pull great things out of this system, and even then, they sounded mechanical. They simply don’t compare with the fuller sounds of the SNES sound system (which I suppose had the advantage of being designed by Sony). In some ways though, these mechanical sounds work well with Dr. Robotnik’s theme – it’s almost as if the machine had been built for this roboticizer of furry animals. There have been a large number of mixes of, but Hedgehog Heaven produced some excellent mixes of the game, among them Richter’s “Robeatnik’s Theme”, which seems to have better music and fuller arrangement than most of the others I’ve seen in a lighthearted coffee lounge mix. In the mid-90s, Sega ran a fairly successful ad campaign featuring a judo master Segata Sanshiro (a pun on the Kurosawa film Sugata Sanshiro), who tracks down kids and beats them up if they aren’t playing Sega Saturn. His name is a pun for “Play Sega Saturn!” and “Sega Saturn, white!” Segata Sanshiro was the mascot of the ill-fated system, and his commercials have achieved cult status (and rightfully so!). There was a whole series of them, from Bomberman to Deep Fear as well as general ads for the system. He also starred in his own game, Segata Sanshirou Shinken Yuugi, which was a collection of minigames based on the commercials. 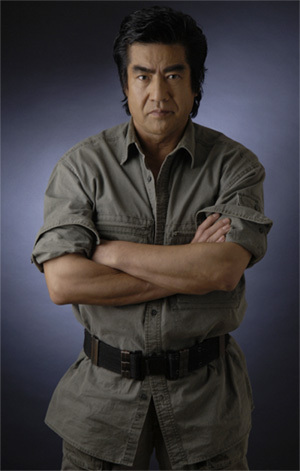 The commercial music was compiled in an album (1998) sung by both Hiroshi Fujioka (the actor) and Ichirou Tomita (the vocalist from the commercials). 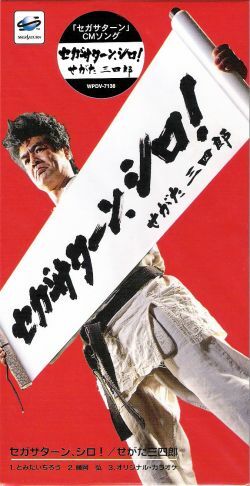 Segata Sanshiro was played in the commercials by Hiroshi Fujioka, who also played Kamen Rider. He’s a cult figure in Japan, similar to Chuck Norris. He’s got an English homepage and even has a planet named after him. I suppose “Sega Saturn, Shiro!” is more famous because of the ad campaign – divorced of the video, it’s just a funny overly heroic song harkening back to the days of classic samurai films. Wonderful orchestration and over-done emotions make for an excellent listen. It’s an incredibly clever marketing technique, with symbolism and references on multiple levels, but sadly it wasn’t enough to save Sega. [chorus] Segata Sanshiro, Segata Sanshiro! Sega Saturn… shiro! (voice of Segata)Youngsters… is there something in your life you are completely devoted to? Something you sink into so deep you put your life on the line? You must play Sega Saturn! Play… until your fingers break! Until your fingers break! One thing Sega is known for is their arcade games the late 80s and early 90s. Though they did rather poorly on the console side into the 90s, Sega’s golden age came in this period of arcade development and porting of the arcade experience to the home on the Sega Genesis. One of these longstanding series was Golden Axe, a barbarian beat ’em up that first appeared in the arcades in 1990. 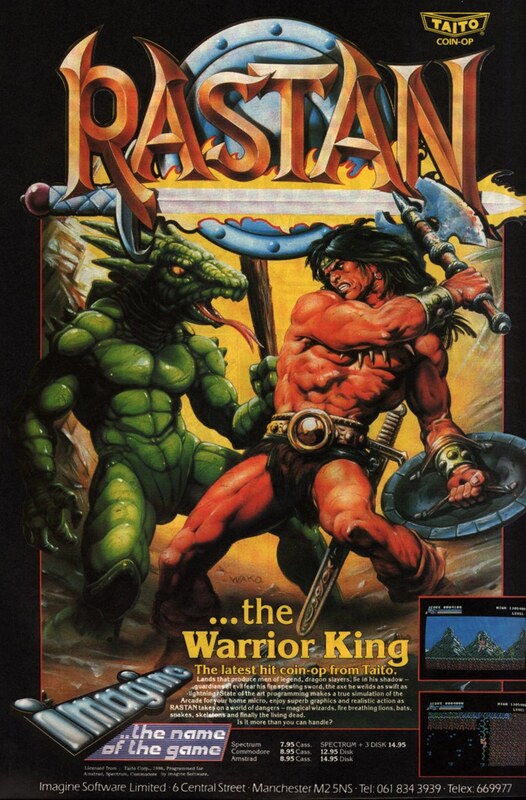 Its first level theme, “Wilderness” is a very memorable piece that perfectly captures that sense of Conan, though not full-on with the blood and trumpets of Taito’s Rastan. 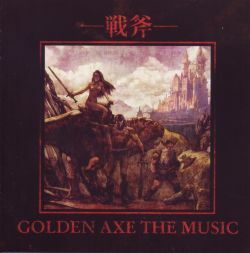 The piece was composed by Tohru Nakabayashi (Galaxy Force, Virtua Racing) and is available on the awesome Golden Axe The Music (2008), which collects the soundtracks to the entire series and is bookended with some great Frazetta-esque artwork. “Wilderness” is structured around a central theme that is repeated three times in the loop. This section, breathing adventurous barbarian action, lasts about 26 seconds, and its repetitions give the track and almost rondo-like effect while simultaneously making it more memorable. The B (0:26), C (1:18), and D (2:15) sections of the song each build on those main notes, building to a high point of action before leveling off. What results is a pretty long and relatively dynamic loop about 2:28 in length. This means that in a standard playback, the main section is played seven times. It works because the main section is great fun and is interspersed with enough other tunes to help prevent listener fatigue. The drum samples in the Golden Axe soundtrack are one of the best parts, sounding like they came right out of the Stone Age. The war drum produces a great beat, and the dull, muted sound of the instruments adds to the feel. Now with these chiptunes, it’s hard to tell exactly what kind of instrument is being used (are those trumpets, rock guitars, or what?) Read the rest of this entry ? “Magical Sound Shower” is a pretty fun tune and one of vgm’s most popular songs. It originally appeared in the arcade game Out Run back in 1986, but has since appeared in every single version of the game. 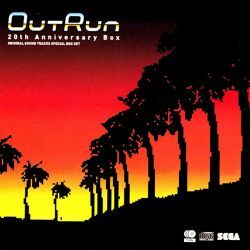 Some are better than others, but I happen to like the version from Out Run 2 (XBox, 2004) the most. Out Run is about driving fancy convertibles (namely a Ferarri) with a young blonde woman in the passenger seat and racing through famous tracks to beat the clock. The series really hasn’t changed much since then, and there are plenty of racing (or ‘driving’) games that follow the same formula. The game is about the glamor of driving, and the music really shows. “Magical Sound Shower” uses piano, saxophone, and steel drums to give a great beach-side feel. Though the title is a little odd, the track really does ooze atmosphere and gives a sense of driving aimlessly, just for the fun and feel of it. Incidentally, it’s also kind of weird for me to listen to this track now because I used it for my ringtone – I keep thinking I’m getting a call! The original track as well as this version were both composed by Hiroshi Kawaguchi (aka ‘Hiro’), who has composed numerous other works for Sega including Galaxy Force, After Burner, and Bayonetta.